Japanese female singer-songwriter. Born in Matsuyama City, Ehime Prefecture and grew up in Nerima Ward, Tokyo. She sings, “songs that resurrect her undisguised self and treasured memories. In 2007, began performing live at Shimokitazawa, Shibuya, and Takadanobaba. 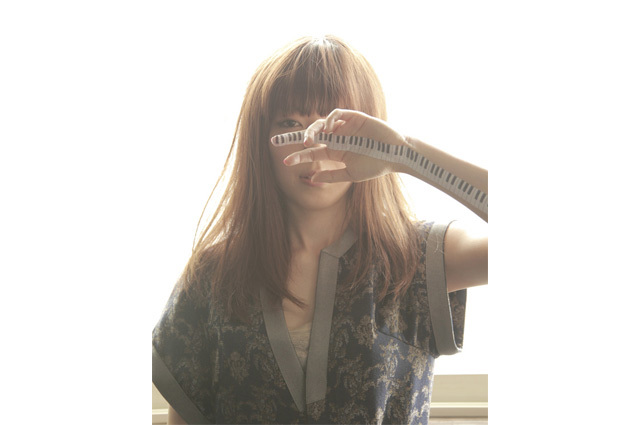 Released her first album “Sayounara”. In 2008, began street performances around Kawasaki station of Kawasaki City, Kanagawa Prefecture. In February 2009, released her second album “Hello!!”. On March 7th, 2010, became the youngest person to win the grand prize at Kawasaki City’s music event, Kawasaki Street Music Battle III (KSMB III). On May 22nd, released her first single “Bane no Byonta”. On December 10th, the commercial for the Nintendo DS game, “Zombie Daisuki” in which she sang, and starred Smilage was uploaded to YouTube. On March 20th, released her first live DVD “Live in Kawasaki”. On June 8th, brought in Akito Katayose and Masayuki Ishii as producers to release her 3rd album “LOVEBIRD”. On June 6th, released “NHK Minna no Uta” cover album “HOME”, with Akito Katayose as producer and Kazuto Shimizu in charge of piano and its arrangements.